Photo 16 Feb 2019 of Israeli SAAR 4.5 equipped with loitering munition launcher. Green Dragon. Advertorial for the munition itself. 1, When is the storm occurred, the one that happens in 2017 or later? 2, When S-400 claimed to has 600km of detection and attack ranges? Also the title seems misleading, if all S-400 never got to China, then how’s the news about 48N6E tests occurred in 2018? I think it’s just refer to 40N6(E) that happens to be a part of the shipment got destroyed, and Russia isn’t officially using it 2 years ago? 40N6 is still a fable, and I doubt Russia would let China have it before themselves. EDIT: China.com journalist has recently reported that China never have purchase 40N6E, and the damaged shipment is happened in Jan 2018, until April Russia was resent another batch and tested 48N6E3 later on. 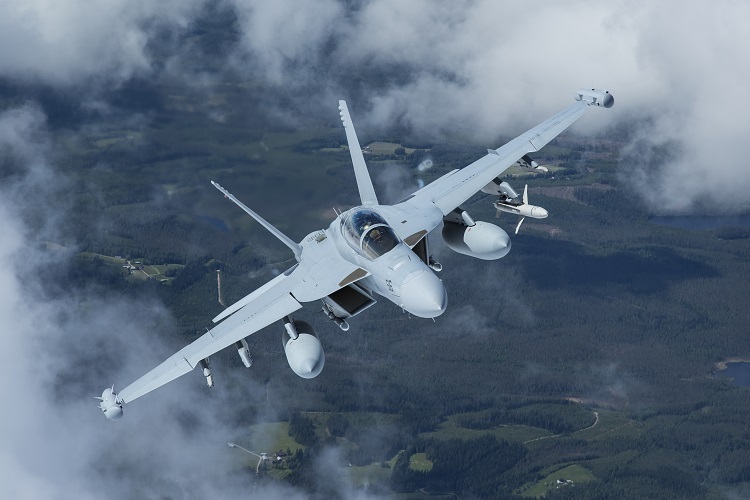 Status: offline ARLINGTON, Va., February 18, 2019 – Boeing [NYSE: BA] and the U.S. Navy have received U.S. Department of Defense approval to offer the EA-18G Growler to Finland. Previously only Australia had been authorized to purchase the airborne electronic attack (AEA) aircraft. Status: offline The Portuguese Air Force has received its first two AW119 Koala helicopters, replacing the Alouette III after 56 years of loyal service. Status: online If image sats are helping military to see stealth fighters, then it’s not stealthy anymore. Is it sounds like we need a whole new definition of “stealthiness”? The U.S. Navy issued its Request for Information (RFI) document for the future Large Surface Combatant (LSC). The LSC is likely to replace the ageing Ticonderoga-class of guided missile cruisers as well as possibly the older DDG 51 destroyers. Saudi Arabian Military Industries (SAMI) and French shipbuilding group Naval Group signed on the opening day of IDEX 2019 a memorandum of agreement (MoA) to create a joint venture for the production and development of naval systems and naval vessels. Spanish shipyard Navantia announced today that it is proposing an adaptation to Dutch requirements and local content of the Spanish Navy S80 Plus submarine, as part of its bid for the Walrus Replacement Program. According to Navantia, with a modern design and a similar size to Walrus-class of about 3,000 tons, the reference design is already fully compliant with Dutch requirements including growth potential. The Chilean Navy is strongly interested in the Royal Australian Navy’s (RAN) Adelaide-class frigates. The information comes from the Defensa.com website. The frigates have been at the forefront lately, due to the interest shown by the Polish and Hellenic Navies, and allegedly other ones too. Greece had recently showed interest in acquiring the two or three frigates of the RAN, in order to fill-in the gap in area air-defence capabilities for its fleet. According to statements made by the Greek Minister of Defence, the two frigates would cost EUR 180 million, without their weapons. Boeing and the U.S. Navy have received U.S. Department of Defense approval to offer the EA-18G Growler to Finland. Previously only Australia had been authorized to purchase the airborne electronic attack (AEA) aircraft. The Republic of Singapore Navy (RSN)'s first Type 218SG « Invincible-class » submarine, Invincible, was launched today at the Thyssenkrupp Marine Systems Shipyard (TKMS) in Kiel, Germany. Goliath grouper, black sea bass, and snapping shrimp, along with bioluminescent plankton and other microorganisms, are set to be the unlikely heroes of DARPA’s Persistent Aquatic Living Sensors (PALS) program. Five teams of researchers are developing new types of sensor systems that detect and record the behaviors of these marine organisms and interpret them to identify, characterize, and report on the presence of manned and unmanned underwater vehicles operating in strategic waters. This new, bio-centric PALS technology will augment the Department of Defense’s existing, hardware-based maritime monitoring systems and greatly extend the range, sensitivity, and lifetime of the military’s undersea surveillance capabilities. Status: online CM-400AKG launched from a J-11B! The first guided AGM/AShM fired from this Flanker derivate. The UK Defence Minister has just signed a new Joint Defence Agreement between the UK and Oman. It gives the UK a permanent Joint Logistics Support Base in the new port of Duqm, south of the capital Muscat. It will serve as a naval base, British Army base, training facility and logistics centre. The Royal Navy’s new carriers will be able to operate from the base. It is the only naval facility in the region capable of taking them. The UK has had strong military links with Oman since the 19th Century. Oman hires officers from the British Army, Royal Navy and RAF for its armed forces. Moreover, officers from the Royal Army of Oman sometimes serve as officers in the British Army. The Sultan of Oman, Qaboos bin Said al Said, attended the Royal Military Academy Sandhurst and once served as an officer in a Scottish Regiment. Status: offline The Finnish defense ministry on February 21 announced it is buying Raytheon’s Evolved SeaSparrow Missile (ESSM) systems for its Pohjanmaa-class corvettes of the Squadron 2020 project. 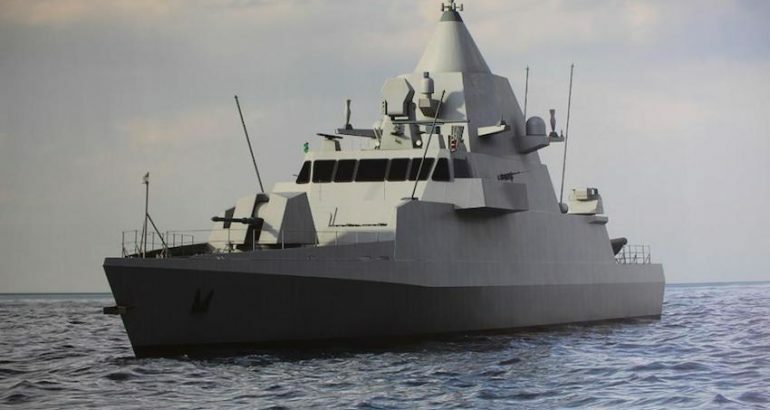 The Finnish defense ministry on February 21 announced it is buying Raytheon’s Evolved SeaSparrow Missile (ESSM) systems for its Pohjanmaa-class corvettes of the Squadron 2020 project. The corvettes will be equipped with Mk 41 VLS, with displacement of around 3000 tons and the armaments chosen they are shaping out to be pretty potent ships in the region. Also logical as Finland is likely to get AMRAAM-ER for its NASAMS system. Status: offline Finnish Pohjanmaa-class will have newest MkV Gabriel version. These 3000 tons corvettes are unique, able to operate in ice conditions too. Truly multimission ships. But no own helos as far I know. Four new covettes and same time Finnish Airforce is upgrading F/A-18 Hornet fleet. Interesting time indeed. Finnish Pohjanmaa-class will have newest MkV Gabriel version. These 3000 tons corvettes are unique, able to operate in ice conditions too. Truly multimission ships. But no own helos as far I know. The Government of Finland has requested a possible sale of four (4) Mk 41 Baseline VII Strike-Length Vertical Launching Systems. Also included are spares, handling equipment, test equipment, operator manuals and technical documentation, U.S. Government and contractor engineering, training, technical, and logistical support services, and other related elements of logistical support. The estimated total case value is $70 million. This proposed sale will support the foreign policy and national security objectives of the United States by improving the security of a partner nation that has been, and continues to be, an important force for political stability and economic progress in Europe. A Brazilian website - DefesaNet Defense - has reported that Venezuela has deployed the S-300VM near the Aeropuerto de Santa Elena de Uairén, just 11km from the border with Brazil. Status: offline Here is our first monthly report (February 2019)! The W76-2 is a modification of the W76-1 warhead to provide a low-yield, sea-launched ballistic missile warhead capability. Here is our first monthly report (February 2019)! Good info! I liked your SEAL Museum vid, too! Status: offline Very few details have been revealed, but the Royal Australian Air Force "Loyal Wingman" program has been secretly developing a UAV with Boeing that is due to be unveiled tomorrow at the Avalon Airshow. All that is known is it is over 12 metres/40 feet long, has a range of several thousand kilometres, has an internal payload bay for sensors and is intended for electronic warfare or reconnaissance, but could also carry weapons as a UCAV in the future. 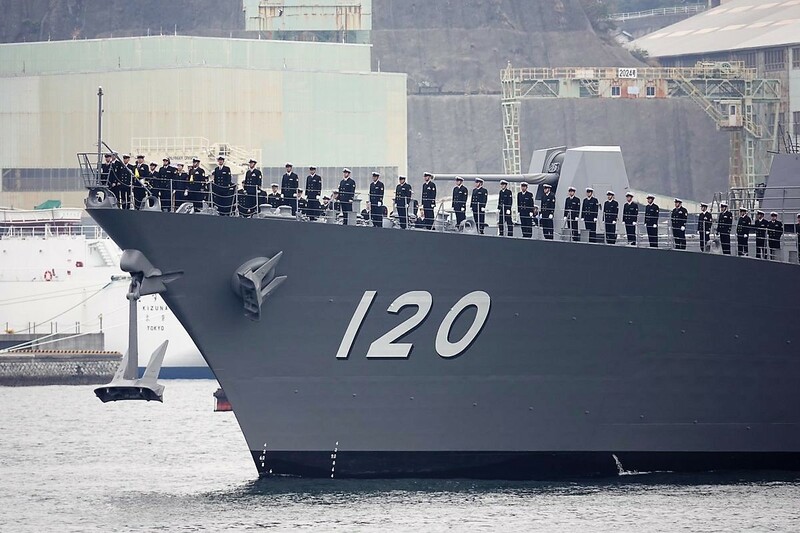 The Japan Maritime Self-Defense Force (JMSDF) commissioned the JS "Shiranui" (pennant number 120) during a ceremony held today at Mitsubishi Heavy Industries’ Nagasaki shipyard. JS Shiranui is the second Asahi-class anti-submarine destroyer (25DD program) of the JMSDF. 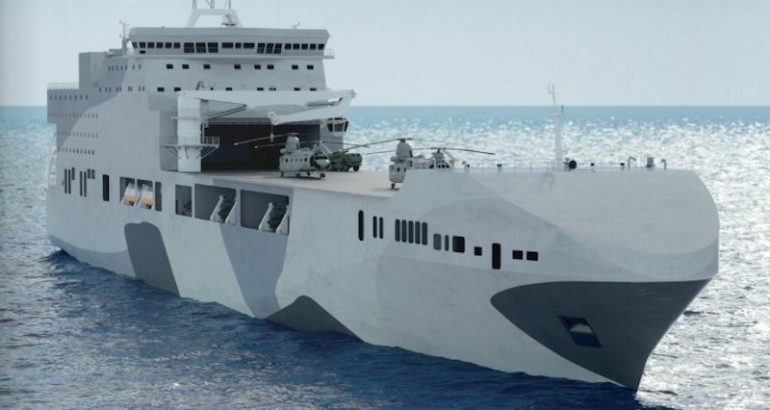 British company Prevail Partners is the first to officially unveil its design proposal for the Royal Navy’s two future Littoral Strike Ships announced earlier this month by the UK Defense Secretary Gavin Williamson. The French Navy’s sixth FREMM Normandie started builder's trials on February 25, Naval Group announced today. 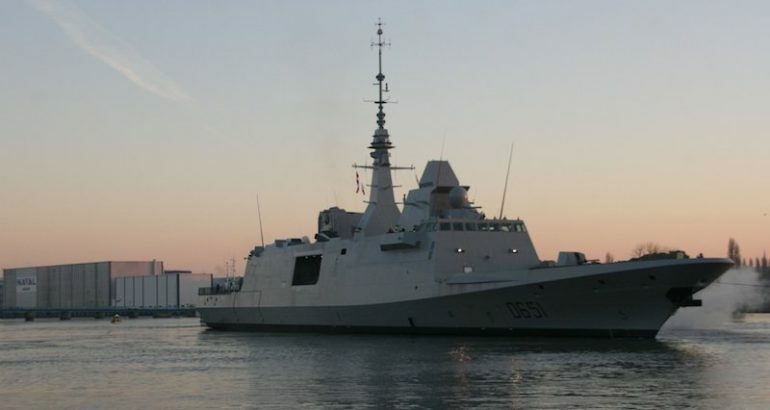 Based on photos posted on the company’s Twitter account, the multirole frigate seems to have set sail from the Naval Group Lorient shipyard. The steel cutting ceremony of the first patrol vessel (OPV - Offshore Patrol Vessel) ordered to Fincantieri by the Qatari Ministry of Defence within the national naval acquisition programme, took place today at the Muggiano (La Spezia) yard. Status: online The drone is called SD-40. Status: offline That's not what the article says.